Besides having a very beautiful natural potential, Bandung City also has another potential, as a culinary tourist destination. And several restaurants in Bandung, combining the natural beauty potential and also the culinary delights of Bandung City. 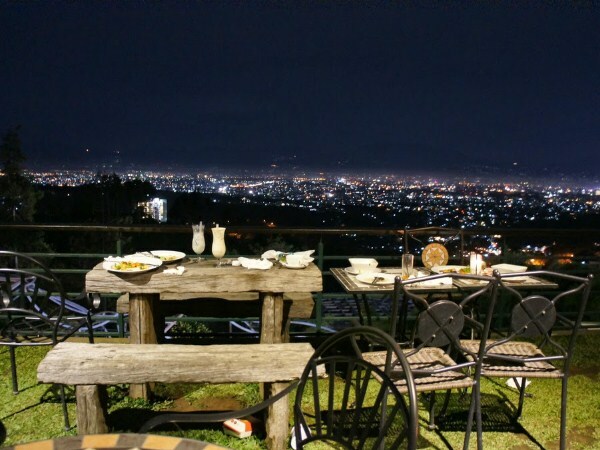 Therefore, in this article, we will discuss about the restaurants in Bandung, which has a very beautiful scenery. Cafe D'Pakar is located at st. Dago Pakar Utara, Ciburial, Cimenyan, Bandung. 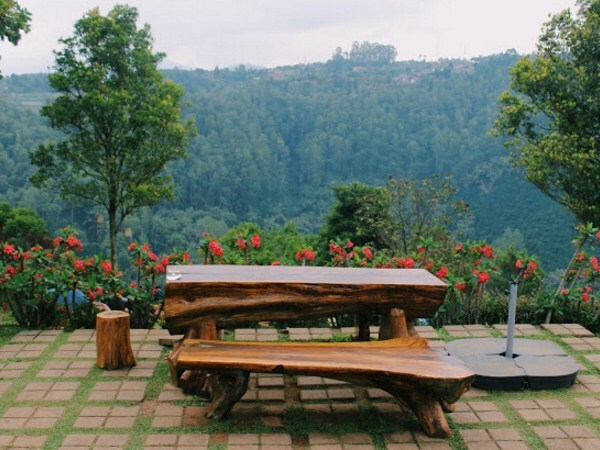 Precisely located in the Dago Pakar protected forest area (Kawasan Hutan Lindung Dago Pakar), which is surrounded by scenic forest and mountain ranges. There are two dining options in this place: indoor dining and outdoor dining. Warung Daweung is located at st. Terusan Padasuka, Cimenyan, Bandung. Warung Daweung is one of the stalls in Bandung, which is located in the highlands. Daweung is a Sundanese language that in English has meaning of Daydreaming. So, this stalls is a suitable place, to relax while looking at the amazing scenery of Bandung City. 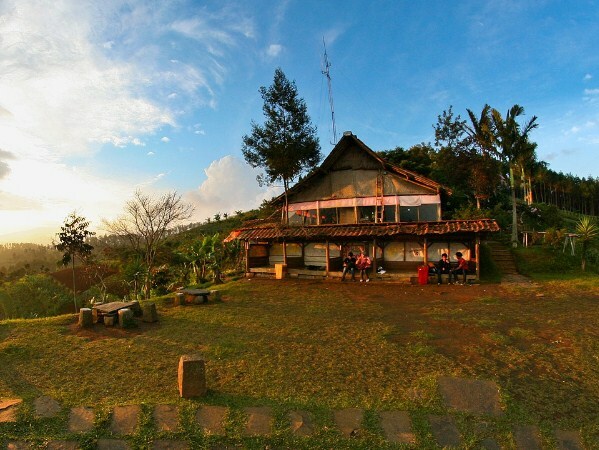 Cocorico Cafe is located at st. Pakar Kulon, Ciburial, Cimenyan, Bandung. This cafe has a beautiful, unique, and yet modern architectural design. This place has fairly easy access, as well as having ample parking space. The building consists of three floors. In the first floor there is a beautiful garden, the second one is designed as comfortable as possible, and the third floor is designed as an observation deck. Kopi Ireng is located at st. Pakar Kulon, Ciburial, Cimenyan, Bandung. For coffee lovers, Kopi Ireng is one of the recommended places for you to visit, while visiting Bandung City. Because position of this cafe is in the highlands, making this cafe has a very beautiful natural scenery around it. Coffee Ireng has an architectural classic design, which is dominated by wood. 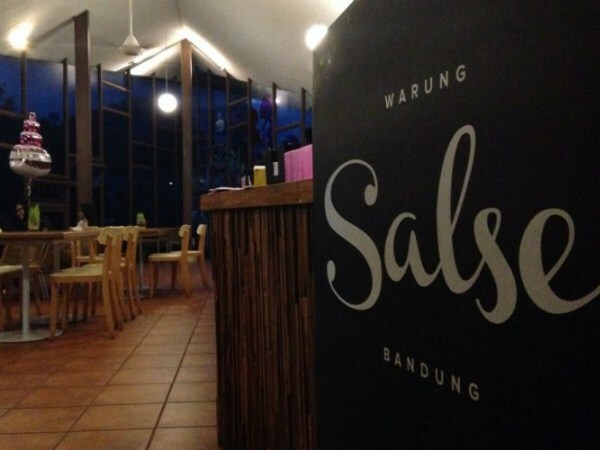 Warung Salse is located at st. Dago Giri, Lembang, West Bandung. This stall is the right choice, for those of you who crave to eat while relaxing, and enjoying the beautiful scenery. Architectural design is also quite unique, because this stall is half-pyramid shaped, with glass windows around the building. It allows you to look at the beautiful scenery around this place. 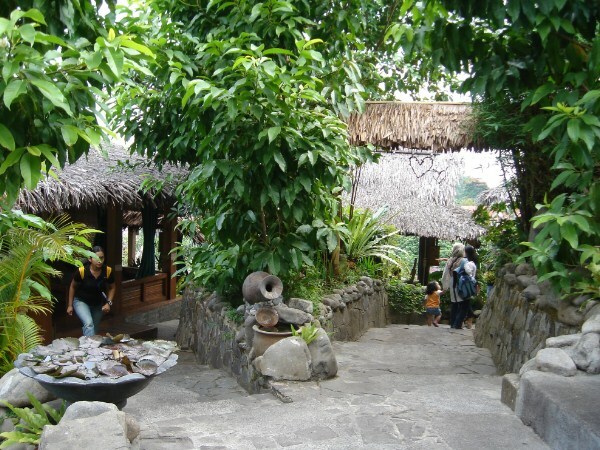 The Stone Cafe is located at st. Ranca Kendal Luhur, Coblong, Ciburial, Bandung. This Cafe has a Classical European concept, that combined with a rustic atmosphere of Indonesia. Called The Stone Cafe, because the decoration in this cafe, is dominated by river stones. The Stone Cafe is also one of the perfect places to relax yourself. 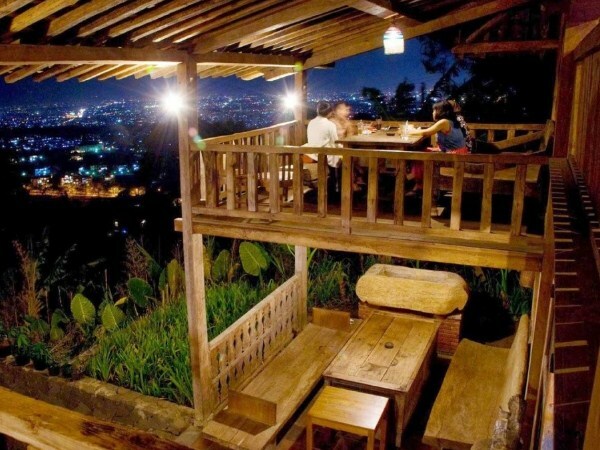 That's the 6th restaurant in Bandung City which is supported by a very beautiful scenery. For those of you who are on vacation in Bandung, and quite confused for looking a restaurant or cafe, which is suitable to spend your free time. You can visit the restaurants that we have discussed above. But remember to always maintain cleanliness in the tourist objects that you have visit.